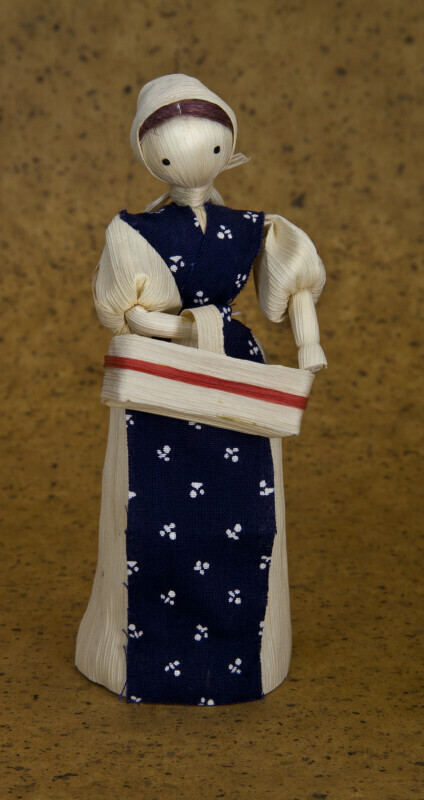 This female doll is handcrafted from corn husks that have been soaked in warm water. The husks are then formed into the body, arms, head, dress and scarf. The woman has a piece of blue cotton print material in the front of her dress. She is holding a large basket, also made from cornhusks. Her hair is made from fibers. The figure stands 6 inches (16 cm) tall.